Abervent - For your Duct work & Kitchen Canopies requirements in Aberdeen. 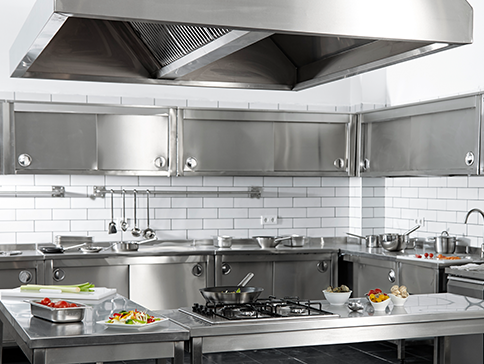 Specifically designed around each kitchen, our commercial canopies aid in the ventilation and removal of several types of emissions. Abervent can design, supply and fit commercial kitchen canopies of all sizes. 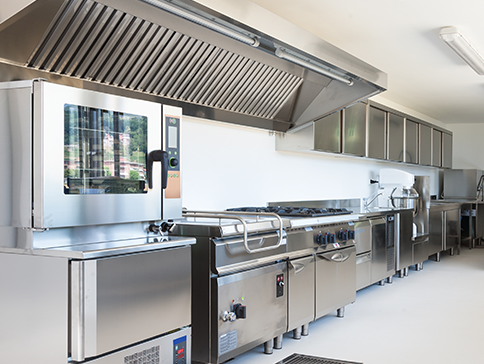 From singular, stand-alone feature canopies, to large extraction units for commercial kitchens, we can custom build a commercial kitchen canopy to meet the specific needs for you our customer. System complexity combined with legal requirements serves to make the task more onerous. 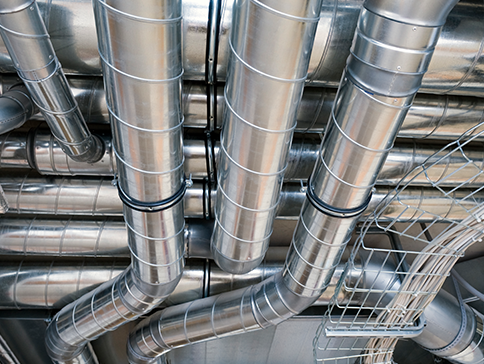 In many cases, the inspection/cleaning of duct systems is left until the accumulation of lint & extraneous matter is such that it causes deterioration of system performance & becomes a fire hazard (Laundry & General Exhaust systems).